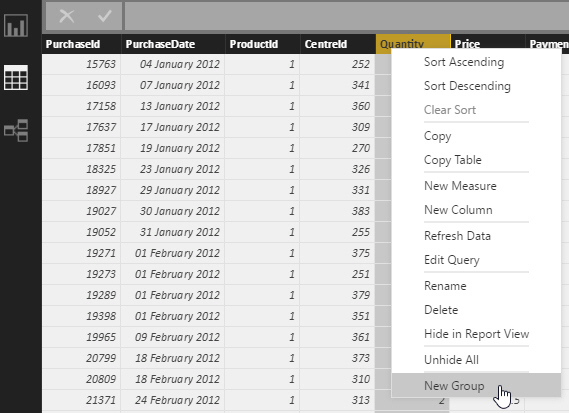 To bin data, right-click on a data field in Data view, and choose to create a new group for it. As an example, Power BI Desktop now shows the minimum and maximum values for your data. The Rice rule: n is the number of data points in your data. I only mention this because it looks pseudo-scientific: suffice it to say that you'll get more help choosing your bin size.